Union Pacific's LPA81 crew was handling an empty Sheboygan hopper train south on the Shoreline Subdivision when they reported seeing "a green blur" ahead of them in Fox Point. 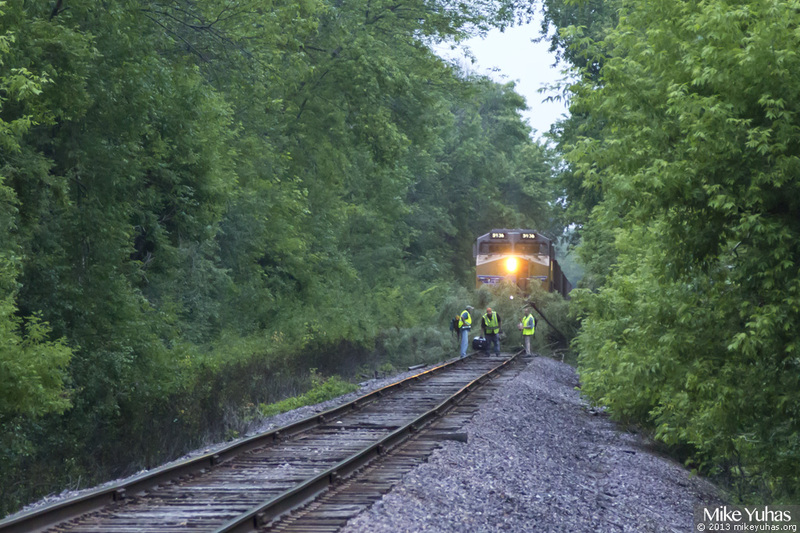 They were able to stop the train a few feet away from a large willow that had fallen in a storm the prior night. The crew ran out of time here, and in this photo is seen being relieved by a Butler yard crew. Maintenance of Way arrived shortly thereafter and promptly made firewood.